Manage your project revisions from one place. Import and export sheet parameter values and Revisions to Excel. Add and remove sheet parameters and update project revisions within one window. 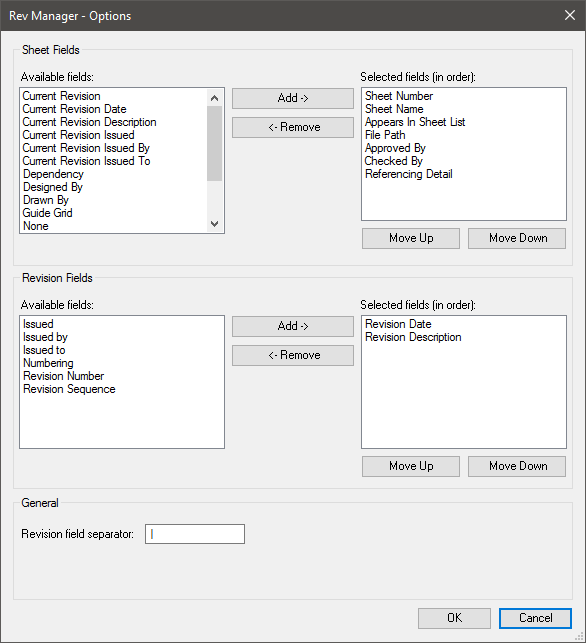 Use Rev Manager tool to update revisions and parameter values for sheets in your model. You can edit information in Rev Manager window or Import/Export data to excel. Use Import and Export buttons to transfer data between Rev Manager and Excel. Keep in mind you need to open Revit document to be able to edit Rev Manager Settings.